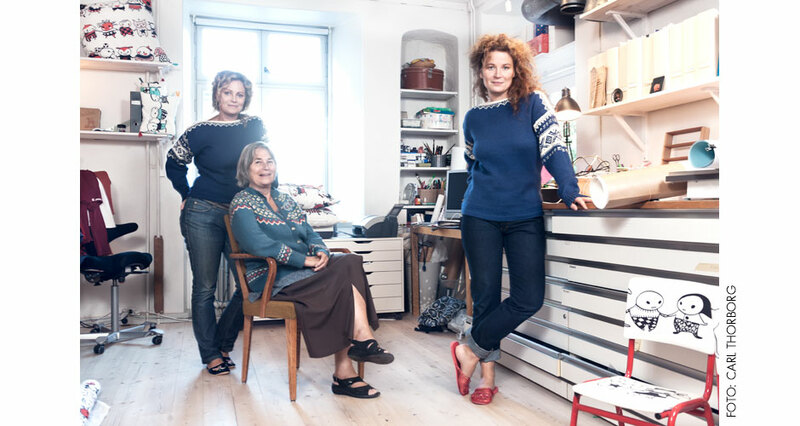 Carin and Stina Wirsén created the Little Pink and Brokiga books. The two sisters developed the Litte Pink and Brokiga brand: Stina Wirsén, an illustrator and Anna Hörling, an industrial designer. Their mother was a special education teacher. They work closely throughout the entire design process – from initial concepts to finished products. Along with her sister Anna Hörling, Stina Wirsén ensured that the Brokiga images brighten children’s everyday lives – on nursery paintings, wallpaper, and other items. Stina Wirsén is one of Sweden’s most renowned illustrators. She is famous for her children’s books and for her newspaper illustrations and portraits. In a seemingly simple way, Stina creates exciting, vibrant images. A few strokes of a pen or a paintbrush are enough to capture the essentials. 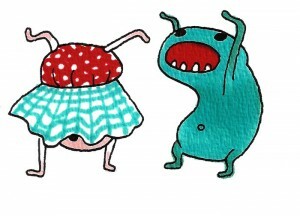 She avoids no subject, and her work has ranged from fashion and psychology to children’s books. Together, Stina and her mom, Carin Wirsén, created the successful Brokiga series, which features Little Pink and her Brokiga friends. 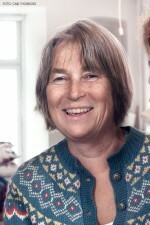 Stina Wirsén has received many prestigious awards and much recognition for children’s book illustrations, newspaper art/illustrations, and designs (e.g., Heffaklumpen and the Elsa Beskow Plaque). Anna Hörling is an industrial designer. Among other things, she works with eyewear design and interior and light design. She is also the creative director of the Little Pink and Brokiga brand. She constantly strives to combine innovation with environmentally friendly solutions. A straight and simple design is combined with unexpected details. “Less is more” meets “more is more”. Carin Wirsén is a teacher, author, and mother of Stina Wirsén and Anna Hörling. With Stina, she has created about 40 very popular children’s books that have been published and sold in Sweden, Norway, the Netherlands, Belgium, and Japan. These books are based on sound educational philosophy. Carin Wirsén’s interests in children’s early language development and their abilities to grasp concepts are central to her work. Her experience as a remedial reading teacher is reflected in her writing. Teaching and learning should be a joyful, fulfilling experience. For example, when parents read to their children, the kids quickly learn to count to 10 without noticing. Since childhood, Stina and Anna have enjoyed playing and creating together. Although in very early childhood, drawing on walls and furniture wasn’t always very popular on the home front. As they grew older, they drew and cut paper dolls on rainy days and made apartments in the bookshelves for their soft toys. Construction of a Stone Age settlement for their trolls (on a newly seeded lawn) was the rare occasion when their patient mother required a clean-up before dinner. Both parents are educated art teachers, so their home was constantly filled with paper, pens, and all kinds of art-related materials. In the early 1990s, the sisters grew up and subsequently attended Konstfack (Sweden’s largest university college of arts, crafts and design). They formed families and had three children each. When their children were a tad older, the sisters found more time to play together again. In 2007, they decided that the best way to do so was to combine their professions – illustration and industrial design. And the Brokiga brand was created.